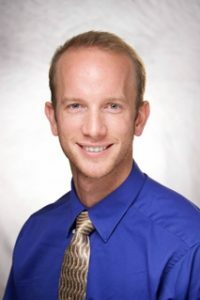 South University, Tampa alumnus Josiah Horneman, PA-C has earned the Certificate of Added Qualifications (CAQ) from the National Commission on Certification of Physician Assistants (NCCPA). Horneman, who graduated from the Master of Science in Physician Assistant (PA) program in 2015, received the specialty credential in emergency medicine. Candidates earn the credential by meeting licensure, education and experience requirements. They must them pass a national exam in the specialty. Horneman is employed at Cheyenne River Health Center in Eagle Butte, South Dakota and says he pursued the CAQ to remain current in emerging practices. He says he also wanted to show future employers that he is committed to furthering his knowledge base in emergency medicine. Programs, credential levels, technology, and scheduling options vary by school and are subject to change. Not all online programs are available to residents of all U.S. states. South University, Tampa 4401 North Himes Avenue, Suite 175, Tampa, FL 33614© 2017 South University. All rights reserved. Our email address is materialsreview@southuniversity.edu. See http://ge.southuniversity.edu/programoffering/4668 for program duration, tuition, fees and other costs, median debt, salary data, alumni success, and other important info. Licensed by the Florida Commission for Independent Education, License No. 3284. South University does not guarantee third-party certification/licensure. Outside agencies control the requirements for taking and passing certification/licensing exams and are subject to change without notice to South University.